Stalls, coffee, food, clothing, plants and buskers. It's all here to try and buy. This is the biggest market of the year in Mansfield in leafy Highett Street. 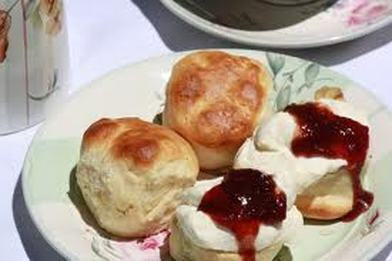 Come and enjoy delicious freshly baked scones with jam and cream and a cup of tea or coffee only $7.00. St John's Church Hall, cnr Highett & Victoria Streets. Enjoy a huge array of beautiful flower arrangements created by local people supporting local community welfare. Gold coin donation to support charities. This year's theme is 'Hero'. Favourites like bagpipes, clowns, horses and an amazing display of ingeniously designed floats will add to the carnival atmosphere of a town transformed and in Festival mode. This is a true community event with over 200 people participating. See Mansfield dress up, show off and parade along High Street. Submit an entry for The Grand Parade. Fantastic 3 Course Menu Utilising our Local Produce. And……….a couple of fun surprises! Bookings: Essential. Only limited seats.